Well, hell! Love the cloak-and-daggerness (yes, I made it up!) of this, of course, but at the end, I have a huge concern. If Pete can ferret out pictures that show Ethan and Jack to be alive, what’s to stop Madigan from doing the same? Or the traitors in the White House? Unless we’re to assume that Madigan is too busy watering the growing seeds of global destruction to pay attention to conspiracy theory web pages. I mean, I guess it’s possible that those things would not be on his radar THIS close to the Armageddon he is orchestrating. Still, there’s a real possibility that someone, or ones, else can recognize Ethan, even if they don’t recognize Jack. and then waht? Will they just ignore him, assuming him to be impotent even if he is out for revenge? Is that a chance they would willingly take? Are these stupid questions from someone who hasn’t got a clue about these matters? I always did like Pete, and this just ratifies my feeling. And after the condom-mule run, ( 🙂 ) this definitely makes me a firm Welby fan as well, now. And I’m glad they’ve got Ethan’s and Jack’s backs, because at the end of EOME, they sure as hell needed it. Then there’s Levi and the “President”, Elizabeth Wall. You’ve made us begin to wonder about them. I’m not happy to be wondering about Levi at ALL. It makes me sick to my stomach to think he’s crooked. That he might be a traitor makes my heart hurt. Elizabeth Wall I feel nothing for, really…I always entertained the idea that she might be on the dark side, so if it turns out to be her, I won’t be shattered, just pissed. It would be nice, though, if the POTUS wasn’t a dirty rotten scumbag traitor. It would help restore my faith in the balance of things, especially after the gur-wrenching betrayals of Jeff Gottschalk and those other high-ups who went down at the aborted White House takeover. Okay…time to shut up again. I could go on and on, for someone who hasn’t eread the book, just this excerpt. Maybe when I come back to read it again, I’ll say more. 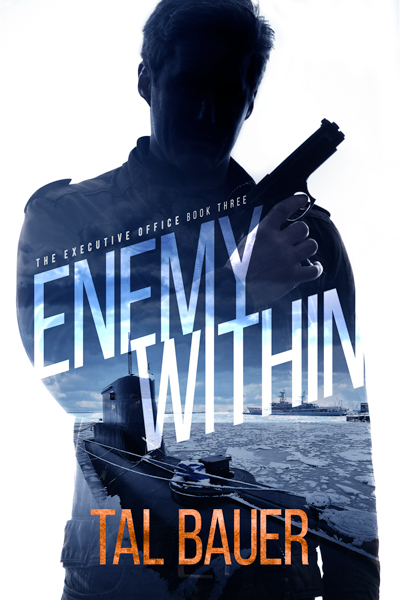 🙂 If this, plus the bits and bobs you shared in your guest blog on Alpha Book Club, are any indication, “Enemy Within” will be another hit. … What if Madigan’s White House traitor just found out about Jack & Ethan?